HomeHELP! I Went On Vacation and Bought A Business… Now What??? About 5 years ago, I went with my wife’s family on their annual pilgrimage from Arizona to St. Augustine, Florida. My wife’s family has been going there for 2 weeks each summer for almost 15 years. On my first trip (really my second to St. Augustine – long story) we went as boyfriend and girlfriend and we came back engaged. We’ve been back every year since then (except for 1 year when we were just about to have our oldest daughter Chloe). We love it there. 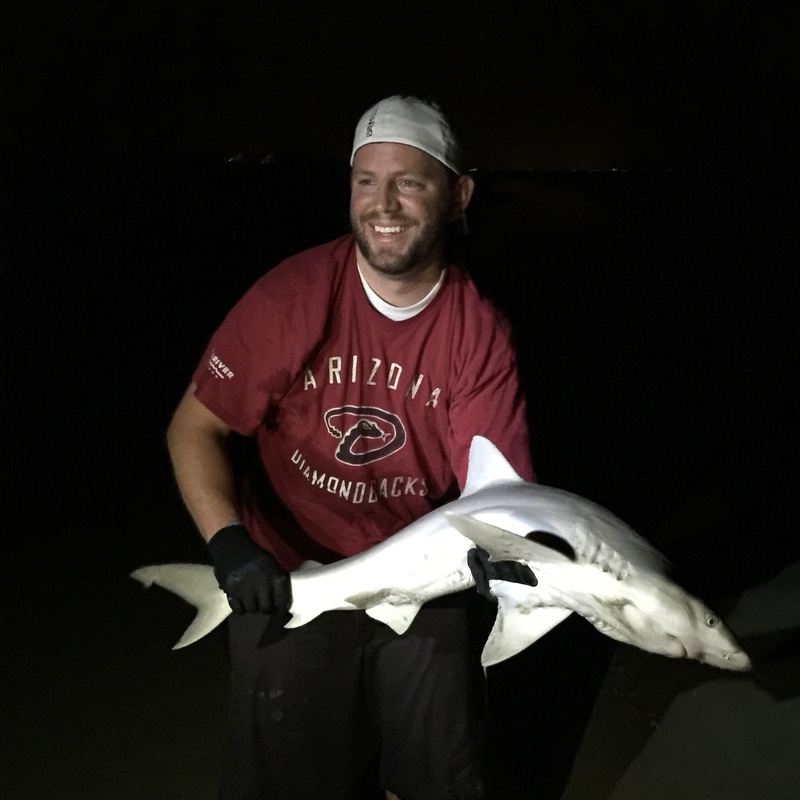 It’s a great time with family – and it gives me time to practice my new hobby, surf fishing (yeah – I caught a freaking shark this year). Each year we’ve left thinking – “We should just get a condo here.” Each year, we haven’t done anything about it. Until this year. A couple of days into our 2 week vacation we decided to call the realtor on site to go thru and look at a few of the available condos. We found one we really liked. It’s a 1 bedroom 2 bathroom with a loft that overlooks the pool. We put an offer on it on Saturday while I was driving to one of the various activities for the week. We closed on the condo less than a week later. It was really fast, but we know the property really well. My mother-in-law and father-in-law both own condos (my MIL’s is actually right next door). The condo association has a team of people that handle rentals for you, and I think we got a great deal on the unit. It really was a win-win situation for us. Here’s the listing for our condo in St. Augustine Florida. This is a first for us. We’ve always had a rental property – but it’s always been someone with a long term lease (1 – 2 years) at a fixed rent. Now, we’re in the business of a vacation rental where we have to earn someone’s business every week (or month) and the rates fluctuate with the season. We’re in a good spot because of the great people in the rental office of the Ocean Gallery – and their list of potential renters. But, I’d like to not have to rely on them to rent the property every week. I plan on listing the condo on all of the major rental sites – VRBO.com, AirBNB, etc. I also plan on building out a website where people can contact me directly to book the property. I plan on using Infusionsoft to maintain my own list of renters and people that are interested. I’ll use campaigns to follow up, tags to segment, and broadcasts for promotions. I’ve got a killer “Welcome and Wow” campaign in my head to deliver an exceptional customer experience from the time they contact us to rent until they leave and (hopefully) come back. I’m actually really excited to start putting into practice (again) all the stuff I’ve been telling people they should do for the last 7 years. What can I do to make a killer customer experience? What things have you seen that “Wow-ed” you? What advertising/promotional tactics do you think I should use? Great stuff. And congrats on the new place. I would certainly put a “post-rental” campaign together to follow up with the about their experience, and to capture testimonials. If you really wanna get ninja with it, you can run a photo contest – where renters submit a photo from their stay, and a story, and once a month (or quarter, or year) you pick a winner and they get a discounted stay. Or, priority selection or something of that nature. Then, they feel good about their trip. And you end up with loads of social proof as marketing fodder. My family and I have been staying at the OG for over 22 years every August. We rent 5 condos upfront at Agean (we started in the back of OG) . What I look for first as a renter is the kitchen and bathrooms, if they are still the 1983 cabinets I don’t go any further. You want to update those cabinets, but the rest of your condo looks very nice. You have plenty of seating in the L.R. TVs are current. This is the first year my family and I cannot stay the entire week. I was looking for private owners and saw yours. My dates aren’t available on your site but I will let people know about you. I have sent many families to OG. Too many it’s gotten to busy. Good Luck with your new place.